Expect a different level of experience with a qualified Westminster plumber. This helps us manage our time better, reducing overhead costs in the process, the reason why we can afford to offer our services at the most reasonable rates. Our skilled plumbers at OC Plumbing Pros will not disappoint you. Our Westminster plumber will respond immediately to your call for plumbing repair or periodic maintenance. It takes years for a plumber to get his or her license, and that type of experience and skill shouldn’t be taken lightly. Because this saves us time, money, and effort, too, we are able to reduce our service rates to a level that is comfortable to you as well as to us. Call us 24/7 at (949) 371-8413. Foolproof Hot Water Heater Installation and Repairs by a Plumbing Company: We understand how you will feel when your water heater is in trouble. Nevertheless, it is a good idea to call our experts to see if you need to buy a replacement or not. Our experts can also determine if your unit is appropriate for your daily requirements, and advise you accordingly. If the repair is minor, however, the amount would be far less than that. Drain Cleaning Services To Unblock Clogs: Particles and fibers that have accumulated over the years can clog your drain. But then again, that’s nothing new as homeowners are typically not proactive when it comes to preventing plumbing problems before they happen. But take comfort in knowing that we have the latest equipment, including a state-of-the-art camera that captures the image through the drain, enabling us to effectively and safely remove the clog, whatever and wherever it is. We do have the cameras to snake down the drain and pinpoint where the problem lies. Detecting and Repairing Hard-to-Find leaks: Call us and we will send our team anywhere in Westminster to diagnose and address the problem. Leaks have the potential to create havoc to your property and increase your water bills by folds. If we can save you a lot of money, then we go home happy. For this reason, leaks must not go undetected for too long. Emergency Plumber Westminster – Call Us Now! Let Us Serve Your Re-piping, Garbage Disposal Repair and Installation Requirements: If the pipes in your Westminster home need replacement or re-direction as may be necessary when you are going to undergo a major renovation project, give us a call to do the job competently and safely. Therefore, give us a call and we will see if your unit can still work just fine after repairing it. If that’s not guarantee enough that you are hiring a professional that can handle your problem then we don’t know what is. Our licensed plumber can also fix your leaking garbage disposal, or set up a new unit in your home. If you need to install new pipes or reroute old pipes in case of building renovation, we can lay down the plans and send you the blueprint the soonest possible time. Installing or Repair a Toilet: Call us and we will have our plumbers assess the situation, and if we find your toilet broken, we will advise you to get a new unit, instead. We understand your frustration when your toilet is leaking, broken, or clogged. It’s understandable because it’s a dirty job. You can always count on us to give you peace of mind as we work on your toilet issue, whatever time or day it is. 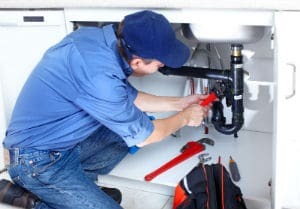 24/7 Hotline at OC Plumbing Pros – Always Open to Serve You: We offer round the clock services because we know we cannot put off a plumbing emergency when it happens at midnight or early in the morning. We recommend that you call us the moment you sense that there is something wrong with the way your plumbing system works, so we can take immediate action before the problem blows out of proportion. We can send a team to your house or office right away. Connect With Our Westminster Plumbers Today! We require excellence in all our undertakings, including our customer service. We always strive to make the whole process as painless as possible for our customers. Our plumbing contractors go the extra mile in providing helpful advice regarding routine maintenance plumbing services to ensure your system is at its most efficient state. Call us and let us tell you more about our high-quality plumbing repair and installation services at OC Plumbing Pros. Call us today at (949) 371-8413!